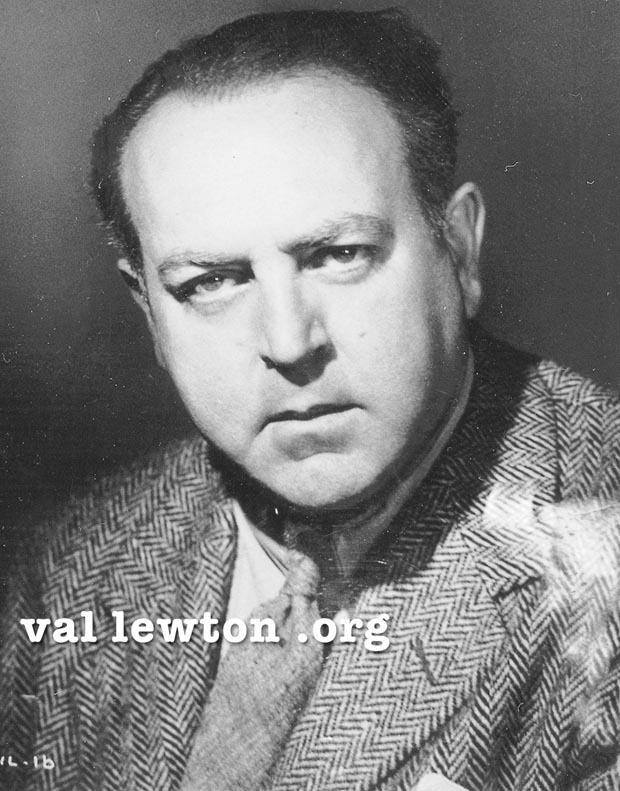 Val Lewton was a Hollywood film producer who broke the rules on what a "producer" can do during movie production. 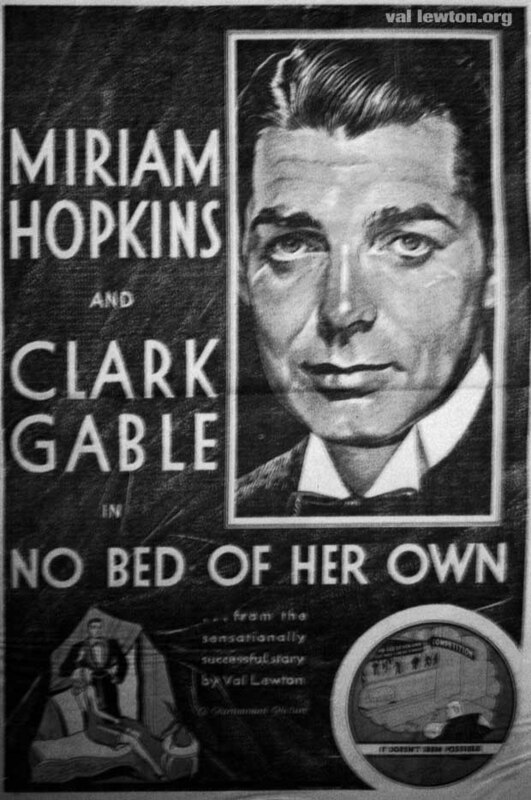 Uniquely experienced as a professional writer in almost every aspect of the trade, he then worked for nearly a decade as an assistant to David O. Selznick, one of the most successful independent film makers in Hollywood history. 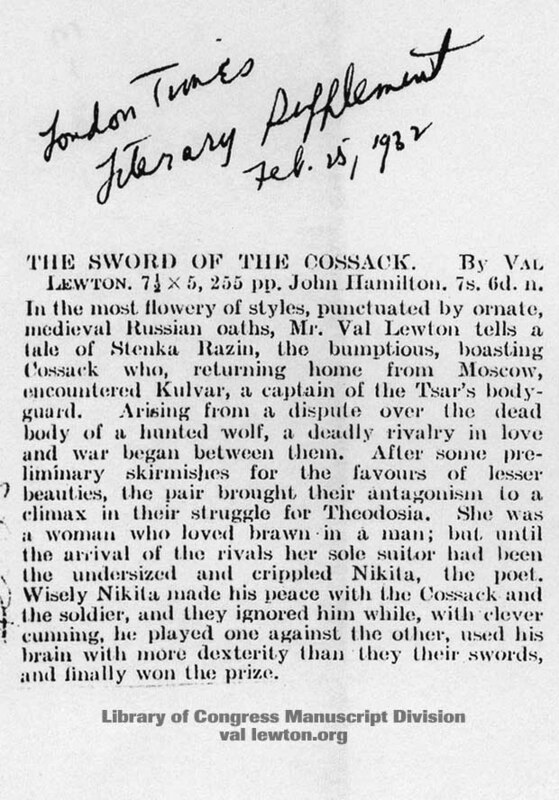 Lewton put his experience from his Selznick years to work at RKO where he was given his own special unit to make a string of eleven films, some so profitable they are credited with saving the financially strapped company from bankruptcy. Lewton's filmmaking contains a unique sensitivity to human characterization, an emphasis on quality on the screen and in the writing, and all achieved despite limited resources. Lewton always prepared the final shooting script himself and detailed it with visual information to make sure the director he chose would emphasize the elements Lewton most wanted to form the cinematic experience for his audience. When films are examined that are generally grouped by who the director was, or the star, or the studio, but in this one instance films are grouped according to their producer: Val Lewton. 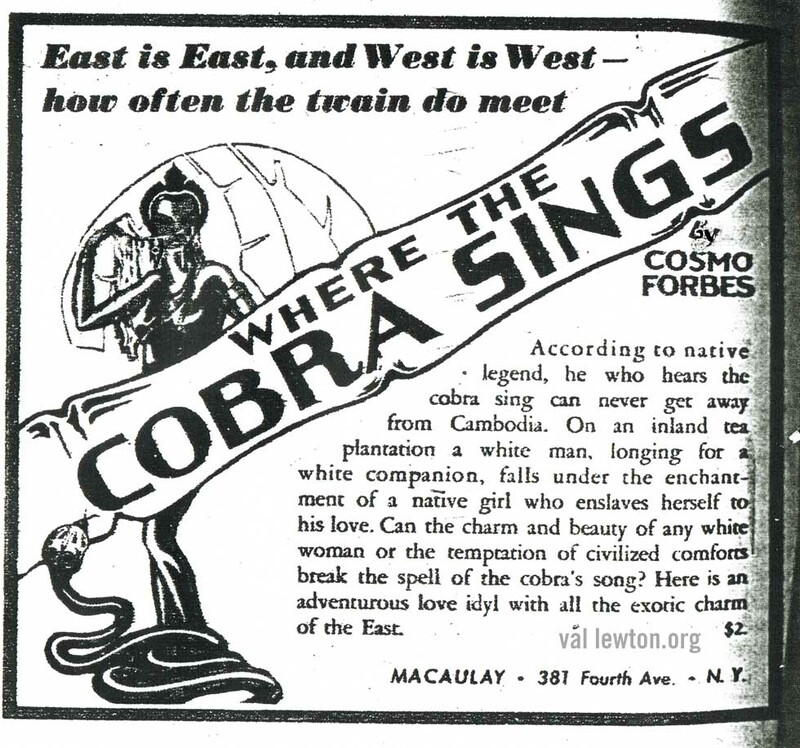 Where the Cobra Sings - written by Val Lewton using the pseudonym Cosmo Forbes. Filmstruck is currently featuring a 5 minute Val Lewton documentary along with a set of 6 films for viewing. The documentary is partially history and partially opinion with director Joe Dante presenting the information. 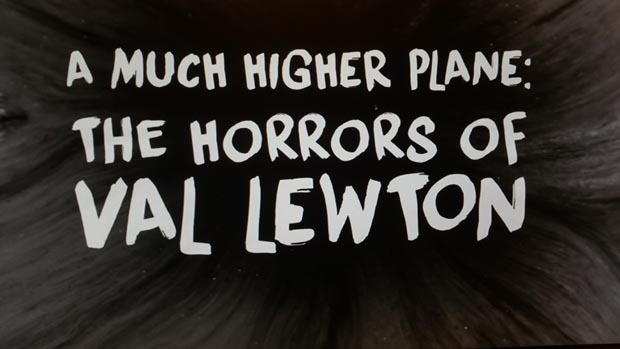 Visually "A Much Higher Plane: The Horrors of Val Lewton" is heavily interspersed with film clips from Cat People, I Walked with a Zombie, Bedlam, The Body Snatcher, etc, as Dante describes the qualities of Lewton's movies versus the more common fare of 1940s horror. Also, Dante's commentary places Lewton in the context of his role as a competitor against the Universal horror films, that RKO's hope was that Lewton would bring in some low cost box office success (which he did, particularly with the multi-millions brought in by Cat People). 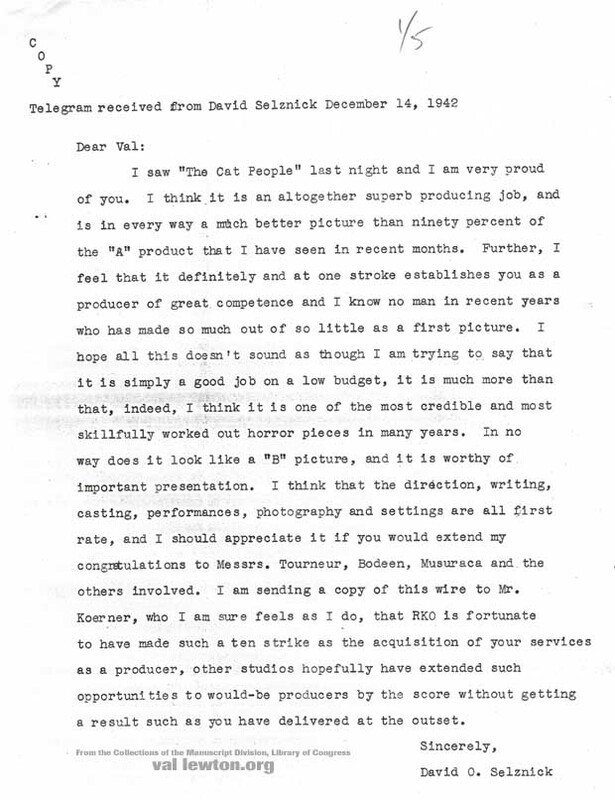 Dante praises Lewton's style and taste (without using either word) and contrasts Lewton's approach with the expectations of a B-Movie production in Hollywood, for example particularly mentioning The Wolf Man (which Dante points out as being a well made film) as what Lewton was trying to transcend.